Saudi Arabia is buying an armed drone from South Africa after the Obama administration declined to sell the oil-rich kingdom U.S. Predator or Reaper missile-firing unmanned aircraft. 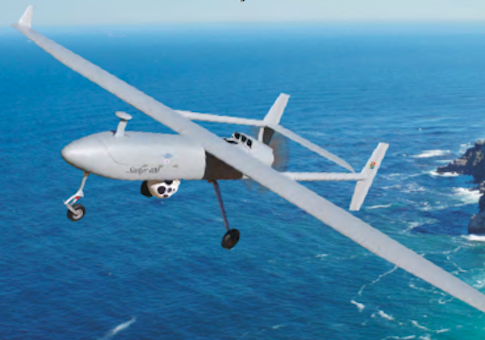 The state-owned South African company Denel Dynamics is working covertly with the Saudis to develop the Seeker 400 drone into an armed combat system for the Saudi military, the Paris-based newsletter Intelligence Online reported March 27. The Seeker 400 is an advanced version of the company’s Seeker II unarmed surveillance aircraft. The newsletter stated that the Saudi military would be the first customer to purchase the Seeker 400 armed drone and engineers from Denel are in the kingdom as part of the secret program. If completed, the sale would allow Saudi Arabia to join the growing number of militaries that operate missile-firing drones—the most advanced weapon currently in use to launch precision strikes on terrorists. Drone warfare has become the hallmark of the CIA, which is aggressively pursuing terrorists with drone missiles in Afghanistan, Pakistan’s frontier region, Yemen, the Horn of Africa, and elsewhere. The new drone will be equipped with South Africa’s Mokopa air-to-ground missiles that are currently deployed on Algerian helicopters. The drone also can be outfitted with Impi laser-guided missiles with a range of 10 kilometers. The drones are believed to be sought by the Saudis for use against the terrorist group al Qaeda in the Arabian Peninsula, which is currently operating in Yemen and has conducted international operations against the United States. Riyadh has been trying to purchase missile-firing drones from the United States but so far the requests have been denied. The United Arab Emirates is purchasing an unarmed export version of the Predator called the Predator XP, produced by General Atomics. According to the newsletter, the Saudis have sought armed drones for several years and want the weapons to counter Iran’s unmanned combat vehicles known as the Karrar and the Shahed 129, which are fitted with Shahid-1 missiles. "Because it could not procure drones from China, which is allied to Iran, nor from Israel, Riyadh turned to South Africa," the newsletter stated. However, Saudi Arabia lacks the infrastructure needed to operate drones. The systems require satellite communications that permit remote video and communications that allow drones to be piloted. The Seeker 400 can fly for 16 hours and has a range of 250 kilometers with a 100-kilogram payload. Saudi Arabia’s Prince Sultan Advanced Technologies Research Institute (PSATRI), a joint project of the Saudi air force and the King Fahd University, is also developing surveillance drones for use along the southern Saudi border, the newsletter stated. Spokesmen for Denel and the Saudi Embassy could not be reached for comment. News reports in February revealed that Saudi Arabia is hosting a U.S. attack drone base in the southern part of the country that was revealed in satellite imagery. These satellite images show a remote airstrip deep in the desert of Saudi Arabia. It may or may not be the secret U.S. drone base revealed by reporters earlier this week. However, the base’s hangars bear a remarkable resemblance to similar structures found on other American drone outposts. And its remote location—dozens of miles from the nearest highway, and farther still to the nearest town—suggests that this may be more than the average civilian airstrip. The base had been kept secret for two years until disclosed in reports by the Washington Post and New York Times in February. The base was used for the drone strike in September 2011 that killed American-born al Qaeda leader Anwar al-Awlaki. This entry was posted in National Security and tagged Al Qaeda, Drones, Middle East, Saudi Arabia. Bookmark the permalink.